Aloe barbadensis and citrus paradisi (pink grapefruit) juices, saccharomyces xylinum (kombucha) black tea ferment, pectin, vegetable glycerin, cyamopsis tetragonolobus (guar) gum, papain, bromelain, hyaluronic acid, magnesium ascorbyl phosphate (vitamin C), fruit stem cells (malus domestica, solar vitis) and bioactive 8 berry complex, lauric acid, salix alba (willow bark) extract, hibiscus rosa-sinensis and aspalathus linearis (rooibos) extracts, arginine, phenethyl alcohol, ethylhexylglycerin, citrus tangerina (tangerine) and cymbopogon martini (palmarosa) oils. I usually apply this mask on Saturday or Sunday night to cleansed skin using my Sephora Collection mask application spatula. I alternate it every other week with the Alba Botanica Papaya Enzyme Facial Mask*. I leave it on for only 10 minutes just like it says in the instructions. It has a gel-like consistency and doesn’t dry on your face the way mud masks do. It tingles very lightly. After rinsing it off, my face feels smooth. Then, I apply a gentle moisturiser or these days, I use a 1% Hydrocortisone cream. Since it is in a tube, I think that the enzymes might be more stable than the Alba Botanica Enzyme mask which comes in a jar. It is quite effective at reducing active acne I might have. By the next morning, I notice that they have all dried up. I think in terms of how smooth my face feels afterwards, I prefer the Alba Botanica Papaya Enzyme Facial Mask slightly. Read my review of the Alba Botanica HERE. My face feels slightly stripped. 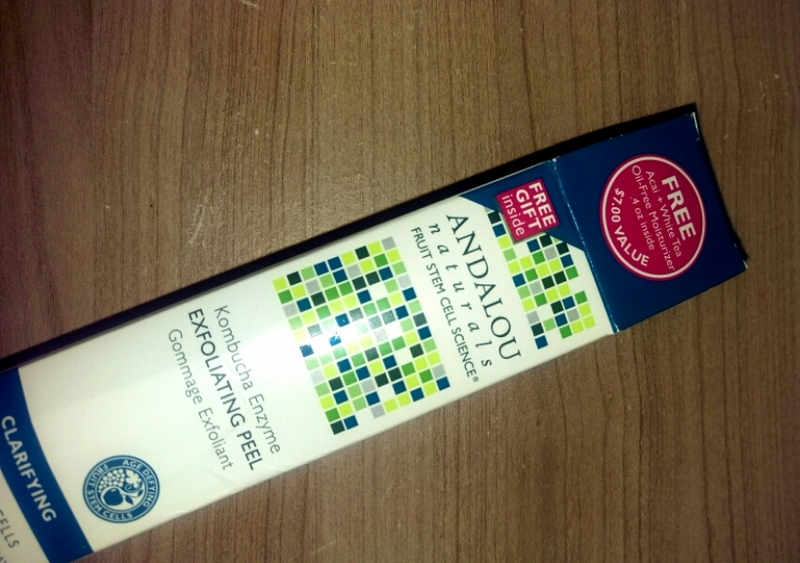 It is almost the same price as the Alba Botanica enzyme mask but has less product. I would recommend it for people with normal to oily skin. If you have sensitive skin, you should use something more gentle. UPDATE: I NO LONGER USE THIS MASK OR THE ALBA BOTANICA ENZYME MASK BECAUSE I HAD TO STREAMLINE MY FACE REGIMEN AND I DECIDED THIS WAS NOT VERY IMPORTANT. Next Article	Just started a new facebook group: "Inspiration And Lifestyle".